How is this any different from the case of Dr. Farid Fata, the Michigan oncologist who intentionally diagnosed healthy patients with cancer so he could charge them for unneeded chemotherapy? The U.S. Attorney called it the “most egregious” case of health care fraud ever. His acts may have contributed to one patient death. The institutional injustice of the PHP system is causing countless deaths of physicians.To consciously “tailor” a diagnosis is fraud. To tailor a diagnosis of substance use disorder or any other psychiatric diagnosis is the political abuse of psychiatry. 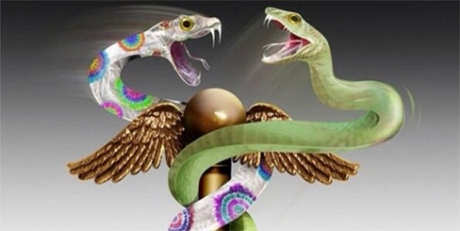 Misrepresentation, dishonesty, deception, and distortion play no role in the Profession and Guild of Medicine. To do so violates the basic moral principles of Medical Ethics–Autonomy, Beneficence, Non-Maleficence and Justice.